Suzanne Pierot doesn't mess around in the kitchen. “I’m a Southern girl and I love the Southern cooking,” she said. There are few things in this world she loves more than whipping up a meal for her grandson, Matthew. “I often tell people there are two people in my life: Jesus Christ and Matthew,” said Pierot. “This is a picture of my daughter Brittany. She was killed in a tragic accident in the year of 2015 and I’m now raising her son." “I like to cook him anything that he wants. Meatloaf, you name it. Baked chicken, roasted chicken, whatever he wants is what I will fix for him,” Pierot said. But those meals suddenly stopped. Her Maytag oven wasn't working. “The digital clock worked. The light on the inside of the oven worked, but it just would not heat at all,” she explained. She set up a number of appointments with Sears to have technicians take a look at the appliance. She said they all told her the same thing. But Pierot wanted to confirm that information with a customer service representative. “They all said the same thing. Let us check. We'll see if the parts are available,” she said. She got NBC 5 Responds’ Samantha Chatman on the case. According to Sears, the malfunctioning part was no longer available. The company said, "At Sears, our top priority is the satisfaction of our members. Our member services team reviewed and resolved Ms. Perot's situation to her satisfaction, providing her with a new Kenmore oven valued at $1,999. As a goodwill gesture, we also waived fees for removing the old oven and installing the new one and provided a complimentary one-year extension on all five appliances covered by her protection agreement." 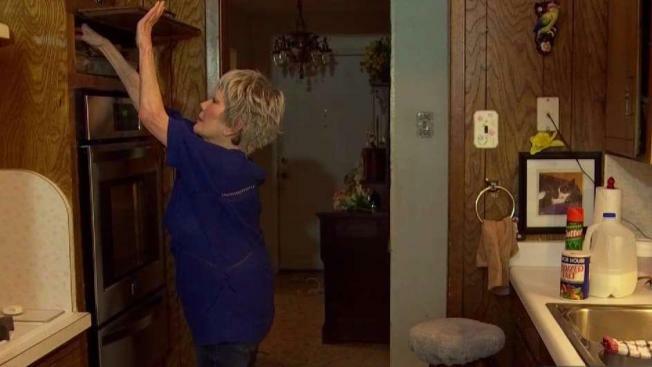 It's a sight some might take for granted, an appliance this grandmother just can't live without. “I felt like I had died and gone to heaven,” she said. Always leave it to the professionals. Do not try to repair the appliance on your own. We want you to be safe. It also might void the warranty if you have one. Take pictures and videos of the product. When the technician arrives, take notes. If he or she spots a problem, write it down. Check your warranty. Make sure you know what is and isn't covered. Always ask to speak with a supervisor the moment you feel that you aren't getting results.